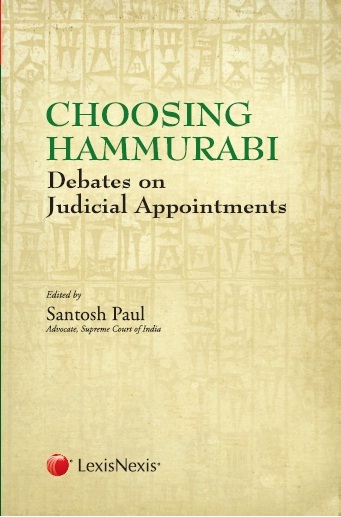 This book deals with all aspects of the highly contentious subject of judicial appointments and judicial accountability with contributions from judges, lawyers, academicians, journalists, etc. There has never been a consensus on the issue of judicial appointments. The debate which commenced in 1949 has raged on for the last six decades in India. The ‘primacy’ in matters of judicial appointments lay with the Executive wing of the Government till the year 1993. The decision of the Supreme Court in SC Advocates on Record Association in 1993 made the Supreme Court of India the most powerful court in the world with the power to make appointments of its own personnel and that of the higher judiciary. It is ironic that as the Courts have scaled great heights confident of their independence, the societal consensus in favour of the collegium system appears to be breaking down. The Government now proposes to replace it with a Judicial Appointment Commission. Will it guarantee merit, accountability, diversity and independence? Is the JAC in its proposed form compromising on judicial independence? The book seeks to cull out the contours of this continuing debate.